Traveling to and from Chelan and Seattle has gotten pretty routine for Jon and I. Our family addition has at least doubled the amount of things we have to pack up and definitely makes getting out the door more stressful. 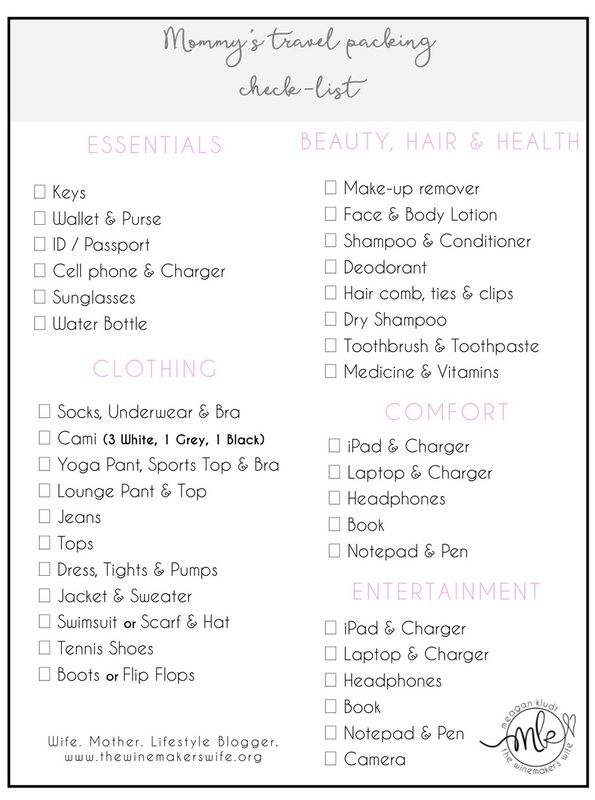 I'm a total list person so instead of laying awake the night before we travel making list upon list of things I can't forget I decided to make a generic packing list! My list consists of essentials, clothing, hair beauty health, comfort and entertainment. I'm currently working on Baby's travel packing check-list so keep an eye out for coming posts! If you'd like a copy of my checklist to print simply comment below with your email address and head to my home page to subscribe to my blog!